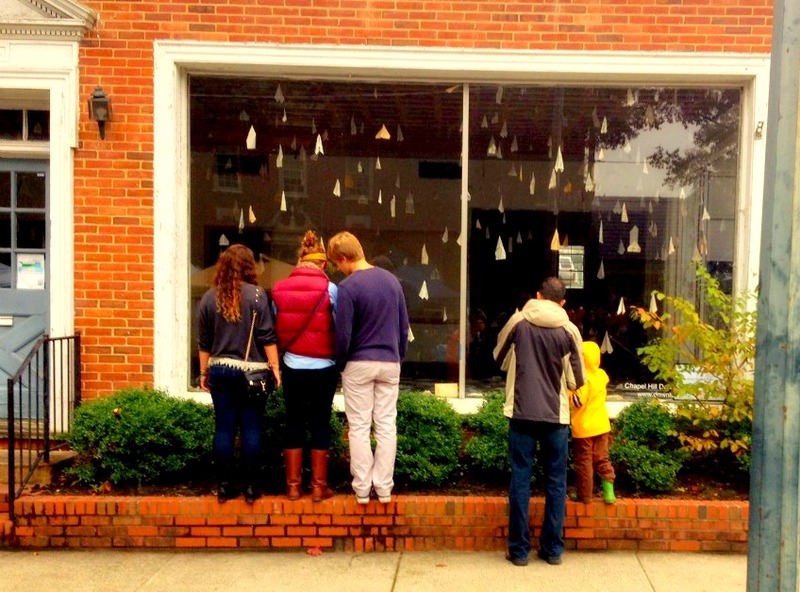 Downtown Chapel Hill storefronts featured site-specific installations by local artists! A collaborative project between the Chapel Hill Downtown Partnership, Town of Chapel Hill Public and Cultural Arts Office, and smArts Creative Programs & Events introduced eye-catching pop-up art displays to downtown storefronts, promoted artists in our community and further established downtown Chapel Hill as a dynamic space for art. 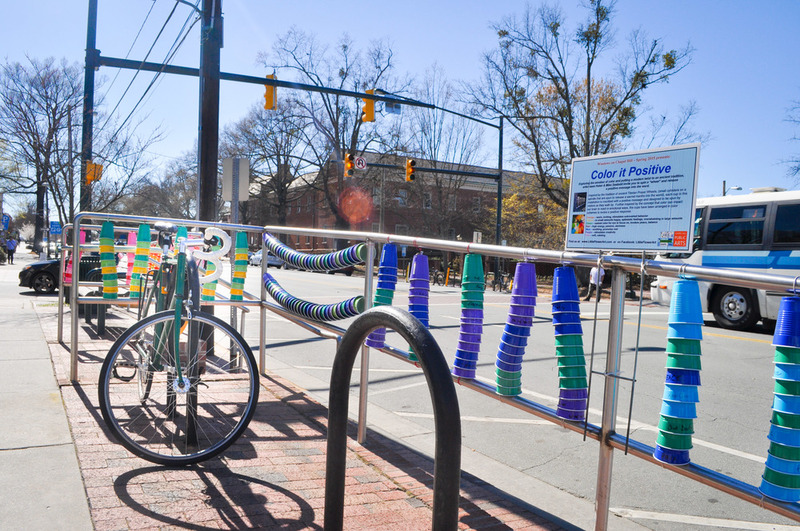 From 2011 - 2014, Windows on Chapel Hill installed 24 different pop-up art installations throughout Downtown Chapel Hill. Installations included interactive video, dance, music, and even a scavenger hunt. Installations 'popped out' from empty storefronts into the public realm, covering sidewalks, railings, and front steps of buildings. For more information on how to create store front installations in your community, Triangle ArtWorks has created a Pop Up Tool Kit. Chapel Hill Transit wrapped a bus in a mural by Chapel Hill artist Mary Carter Taub. Mobile Mural has traveled various routes since March 2013 in conjunction with the Town’s Downtown Art Program and the Orange County Arts Commission. Windows on Chapel Hill was made possible by funds from the Town of Chapel Hill and curated by Sarah Wolfe of smArts Creative Programs & Events.